“The best book yet written about this neglected and fascinating American painter” who anticipated abstract expressionism by more than fifty years (Gail Levin, The New York Times Book Review). At the dawn of the 20th century, Ralph Blakelock’s brooding, hallucinogenic paintings were a striking departure from the prevailing American tradition—and as sought after as the works of Winslow Homer and John Singer Sargent. In 1916, the record-breaking sale of Blakelock’s Brook by Moonlight made him famous. Yet at the time of his triumph, the troubled painter had spent fifteen years in a psychiatric hospital while his family lived in poverty. 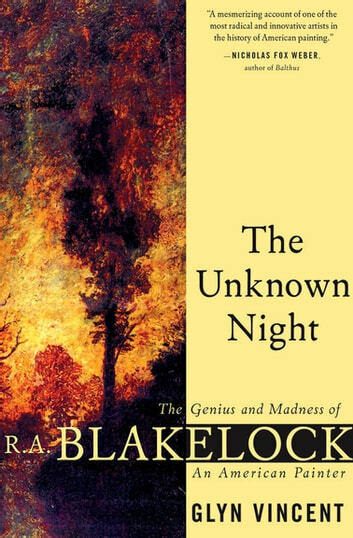 Released from the asylum, Blakelock fell into the dubious care of an eccentric adventuress, Beatrice Van Rensselaer Adams, who kept him a virtual prisoner while siphoning off the profits of his success, until his mysterious death. 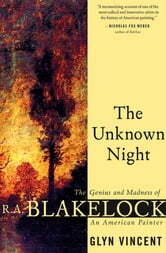 In this acclaimed biography, Glyn Vincent offers the first complete chronicle of Blakelock’s life. Vividly portraying New York in the nineteenth and early twentieth centuries, the narrative begins with his childhood in Greenwich Village and the years he spent peddling his canvases door-to-door and playing piano in vaudeville theaters. Vincent also delves into Blakelock’s journeys among the Sioux and Uinta Native Americans; his mental illness; and the way his exploration of mysticism informed his radical shift away from the Hudson River School of art.